Also this year in Maniago (Pordenone) is celebrated the knife, the tool that made this town famous in all over the world! 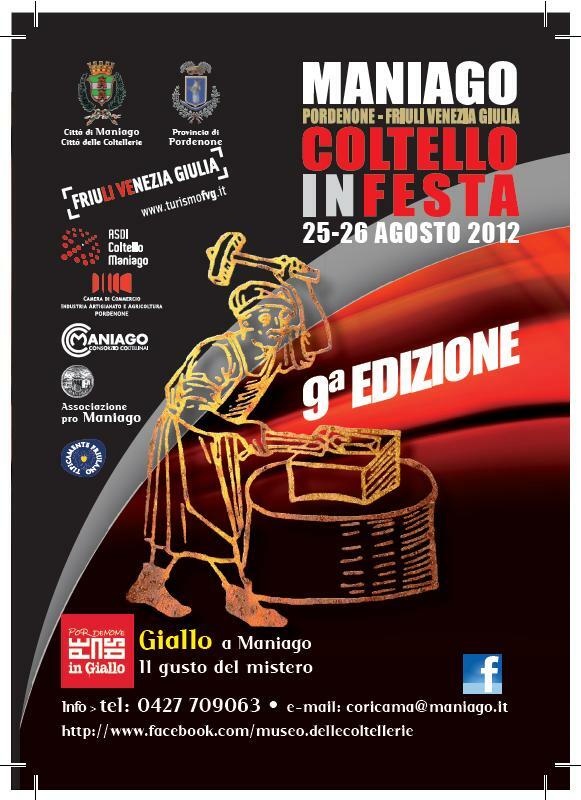 From 25 to August 26 2012 "Coltello in festa" returns, an initiative now at its ninth edition: one opportunity to see, touch and even purchase at many gazebos located in the streets of the center of Maniago, a lot of products of cutlery, that are built here since the Middle Ages! This year in the central Piazza Italia there will also be a booth where you can see and buy the classic knives "Antonini" besides the novelties in the line "Antonini SOS"!